Today for TT we're swatching in teams, and I'm going to blame my cold/flu/crud for it, but I've somehow wound up straddling the fence. 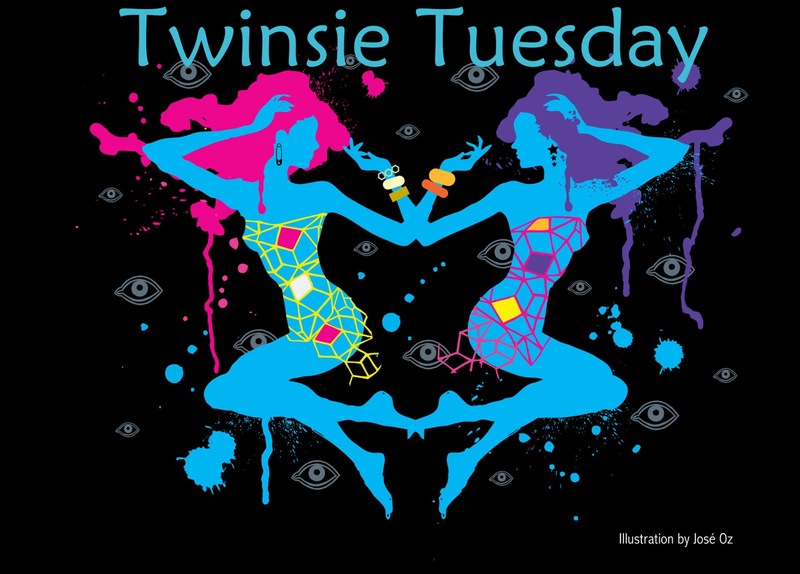 The East Coast Twinsies are swatching glitters today; the West Coast is doing shimmers. Being in HK, I'm officially way to the East, but my addled brain accidentally locked onto shimmer and decided I'd finally swatch my first SpaRitual polish, SpaRitual Optical Illusion. It's a great, glass flecked, shimmer of a green! SpaRitual Optical Illusion was a bit thin, needing 3 coats to reach opacity (and 4 to be swatch-ready), but I didn't have any trouble with control. Definitely love the mossy, yellow-green colour--it reminds me very much of China Glaze Zombie Zest! I think OI may be a touch darker and greener, but if Zombie Zest is on your wish list, I think you'll love Optical Illusion. So yes, it's a glassfleck, a shimmer, but apparently it's a glitter...ooh, maybe that's the optical illusion? 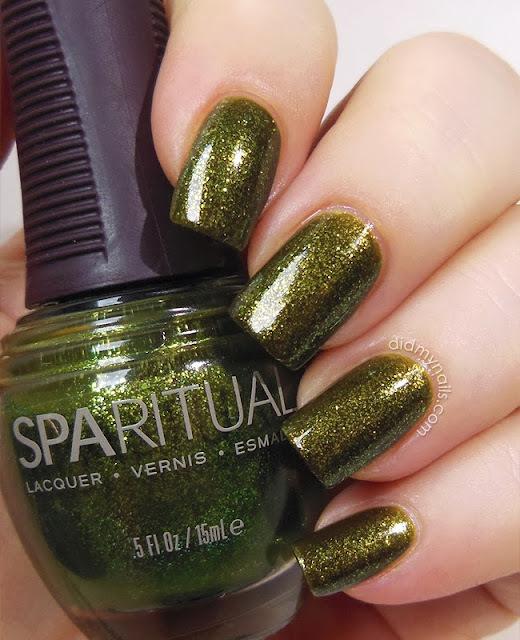 Whatever, it's all kinds of sparkly and especially perfect for this time of year, and I love these mustard-green, mossy shades. Very happy with my first SpaRitual! More shimmers and glitters below, from Twinsies who actually know which team they're on! This is you in a bottle. It's just such a you color! I live in Los Angeles, where it makes more sense to think of "East" Asia as west, not east. So, a shimmer seems totally appropriate :) The color is just gorgeous. Good thing that directions are relative! What a stunning fall polish! 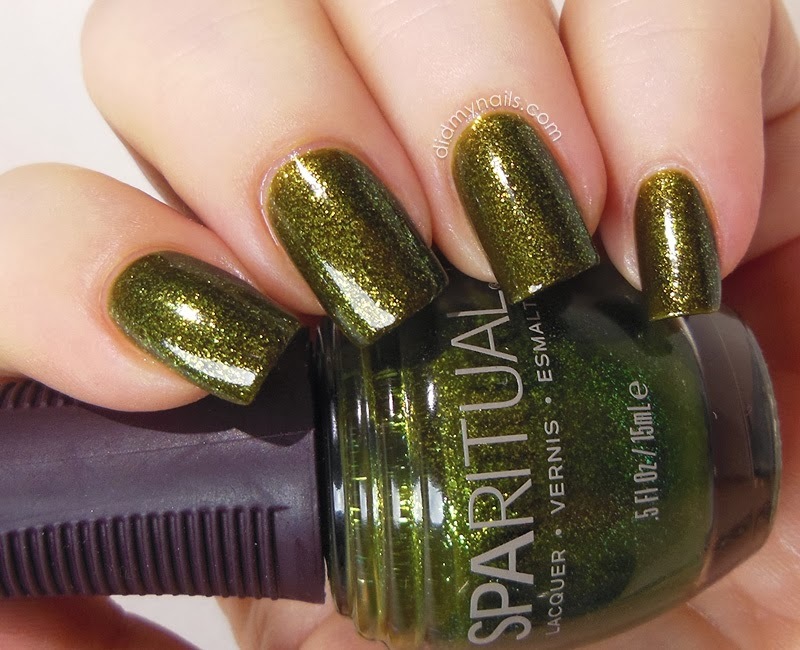 I looooove swampy greens and this one is so perfect on you! You may be feeling dazed & confused, but your nails look great! lol I can see what you mean...it's like a shimmer glitter! hehe. It's beautiful! I love this shade of green. I'd say it would look amazing on super short nails too!